Just 50 miles from Madrid, beautiful, terracotta coloured, UNESCO Heritage Listed Segovia has one of Spain’s grandest Roman monuments - a huge aqueduct - running right through the centre of town. The castle is said to be where Walt Disney got his inspiration for Sleeping Beauty’s castle. And Segovia may even have been founded by Hercules! Or Noah’s son. Yes, that Noah. The backdrop of, the rising foothills of the Sierra de Guadarrama, is quite something as well. With so much to show and say for itself, it is easy to see why this small city is a popular spot for visitors, If you want to book one of the best places to stay in Segovia it’s worth doing so in advance. As well as seeing the aqueduct and the Alcázar, there are numerous places of interest within the walled old town. View the Roman aqueduct, a UNESCO World heritage site and the symbol of Segovia. Visit the impressive12th century Alcázar and enjoy the stunning views of the city. Stop by the beautiful yellow stone Late Gothic cathedral, located in the Old Town. Wander through the narrow streets of the Old City and admire the picture perfect architecture. Our pick of the best places to stay in Segovia are slightly out of town, but still make an ideal base for exploring this unspoilt area. Fuente Plateada is a country pousada right on the edge of a National Park. With just 11 rustic chic rooms with stone walls and iron bedsteads, plus a beautiful garden, complimentary bike hire and a buffet restaurant. 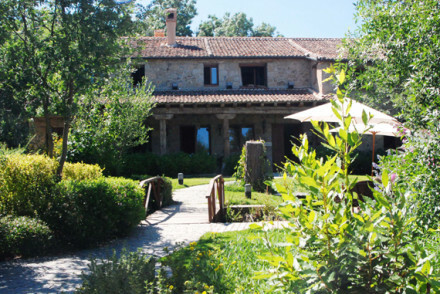 The Posada Mingaseda is a country inn with plenty of rustic charm and wonderful views over the Sierra de Guadarra Mountains. This is a great place for outdoors-y folk with a good restaurant specialising in local cuisine, a sauna and hot tub. Fly to Adolfo Suárez Madrid–Barajas Airport (Madrid) located just 50 miles from Segovia. Trains to Segovia from Madrid are typically an extension of the C-8b suburban rail line (beyond Cercedilla), and cost around €6 for a one-way ticket. Best time to visit - Segovia is a year round destination however during late spring or early autumn the temperatures are mild and crowds lessen. 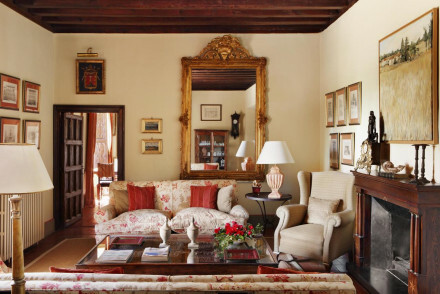 Browse through our list of all the best places to stay in Segovia. An characterful country pousada on the cusp of a National Park. Rustic chic rooms have stone walls, flowery bedspreads, and iron bedsteads. Lovely garden, buffet restaurant, and bikes to borrow. A charming spot for some fresh air in the countryside. Great walks - There are lots of different walking routes through the countryside. Traditional - A rustic farmhouse near a national park. A country inn complete with warm colours and rustic charm, wonderful views over the Sierra de Guadarrama mountains, perfect for walking, riding and country pursuits.There is a sauna and hot tub for relaxation and a good restaurant serving regional cuisine in house. Plenty to explore in Segovia. Sights nearby - Historic city of Segovia is 30km away. 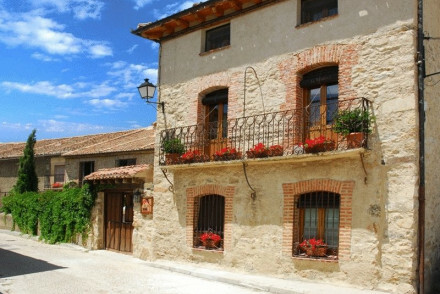 Charming 17th century hotel in the heart of the Spanish countryside. All ten, uniquely designed, en suite rooms are fit with original paintings, blush curtains, and antique furnishings. Surrounded by nature, with gardens, patios, private terraces and a pool, this is the perfect place to unwind.